What’s your lucky animal symbol? Time to find out with our special mid-February Spins Package! This has been an exciting month after the release of Pig Winner, our new slot machine released in commemoration of the Chinese New Year. This year we are in the Year of the Pig, according to the Chinese Zodiac. A lot of lucky winners will be oinking with delight as they hit big jackpots in our new game. Set time aside to play for several intense hours thanks to our mid-February special. Each coupon below will grant free spins on a slot with a lucky animal theme. Find your lucky animal by redeeming these exclusive codes this month! 200 Coyote Cash Free Spins! Deposit bonuses require a $25 minimum deposit and they hold 30x slots or keno roll over and no max cashout. FREE200FARM coupon winnings hold $500 max cashout. Promo codes must be redeemed in order. Offers expire on March 15th. Immerse yourself in the times of the Tang Dynasty in this amazing slot with giant state-of-the-art symbols. And when 3 or more consecutive Gongs appear, watch as the day turns into night and 3, 4 or 5 reels connect to delight you with unforgettable free games. 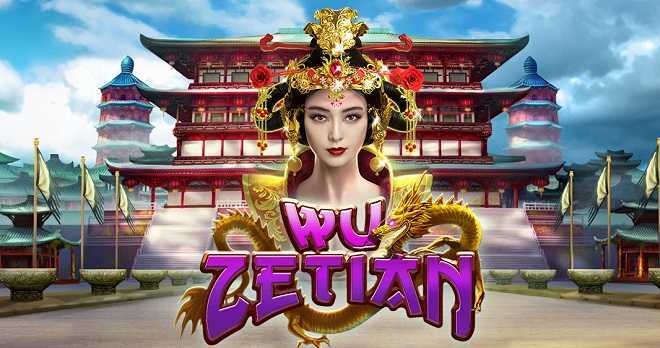 Wu Zetian is a quality 25-line online slot that ushers the start of New Year in style! Play it with a 111% Match + 33 Free Spins! Offer requires a $25 min. deposit and it holds 30x slots or keno roll over and no max cashout. Redeem 2x monthly until end of Abril! La Bamba is Back 🎸with 729 Ways to Win! In the 1950’s rock and roll was the start of a new revolution and it was during this time that Ritchie Valens came up with his hit La Bamba –one of the most energetic songs of all times! Now, this sensation has made Uptown’s reels and you get to dance with it during February with a 100% Match + 75 Free Spins on a weekly basis! As an official signature slot you can play 3 different original tracks by Ritchie Valens (change songs on top right of the game). Scatters: La Bamba Vinyl is a scatter and when you get 4 or more consecutive scatters from left to right or vice versa, you will trigger the Free Games! Free Games: Get up to 20 FREE GAMES. If you trigger the bonus round with 5 or 6 scatters you received extra benefits. 100% Match Bonus + 75 Bamba Spins on Top! Redeem 1x per week from Monday through Friday. Offer requires a $25 min. deposit and it holds 30x slots playthrough and no max cashout. Our month of love slot is high variance promising great jackpots to those that play it while being hot and loose. WILD: The Sweet 16 heart candy is a grouped wild appearing on reels 2, 3, 4 and 5! SCATTER: The lollipop is a scatter and pays whenever three or more appear anywhere on the reels. Getting 3 or more triggers the Sweet 16 feature. MORPH MAGIC: Winning symbols will vanish and new symbols will appear in their place. The first re-spin prize is awarded at pay-table value. After those symbols vanish, the second winning combination(s) will have x2 multiplier. Continue getting winning combinations with each successive round earning a higher multiplier, reaching up to 10x on the 10thand subsequent re-spins! SWEET 16 FEATURE: Get 16 Free Games when you get three or more lollipops appear anywhere on the reels. The Morph Magic multipliers range from 2x to 20x. You can re-trigger the feature if 3 or more lollipop symbols appear in a Free Game. Offer available twice per day throughout the month. It holds 30x slots/pokies or keno playthrough and NO MAX CASHOUT! Love is in the air 💖… love for winnings that is! Make your best moves to win!